I did it! I got rid of all the waterjet cut bits! 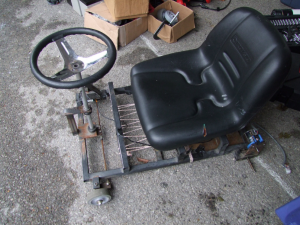 Heres the bare chibikart frame. I was trying to keep too much of it the same. So I replaced everything. And heres what I got. Its the same thing, just welded steel instead of aluminum extrusion. And its a bit heavier, but not by too much (thin wall tubing is nice like that). Even so, extra weight just sounds like an excuse to use bigger motors. 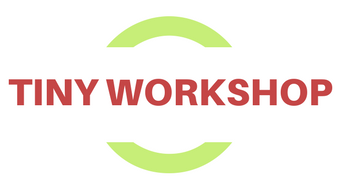 But anyways, heres a preview of whats coming (hint: its building the darn thing). Ive had to stop building because Ive built everything Ive designed so far. And since Im trying to make this repeatable, I need to fully design everything and resist the urge to just start welding things together until a car comes out. To that end, I need steering to happen. I have the rear wheels mounted to the frame, and if I can get the front wheels and steering done then I can do chipikart soap box derby edition. 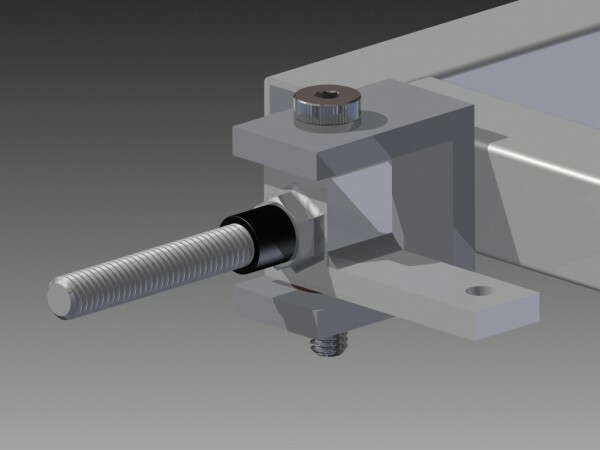 Ive trashed my previous designs for the steering. Since I changed my design to the weld-n-go version, I no longer have the original steering mounts to work with. So Im going with something simpler, and more importantly, cheaper. So heres the new design. Its two blocks of my favorite nearly-indestructible not-so-mild steel, 4140. That, a bolt, and two bushings. The bushings are sintered bronze for smooth motion, and flanged so I can fake having some kind of thrust washer. This should let me have smooth, and close to slop-free motion. And here it is installed. 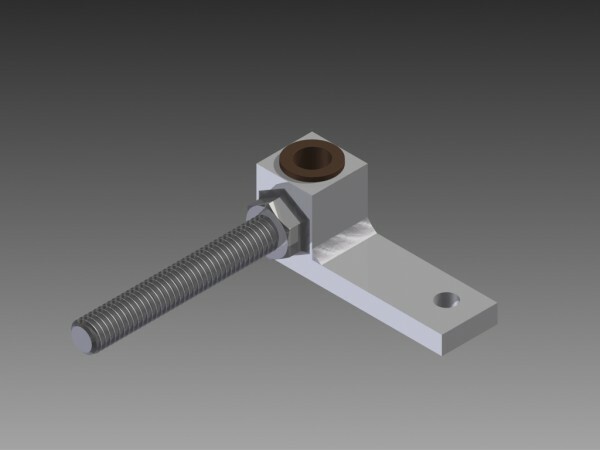 Im using a 3/8 shoulder bolt as the pin, and it also acts as the smooth bearing surface. The bracket is more weldment. Im really bad at bending steel, much less 1/4 thick 4140. Its much easier (and more precise) for me to just cut three pieces and weld them together. So now I have a (hopefully) final steering design. Now I just have to build them, but considering Ive done the design, that shouldnt be too hard. Finding time to build them in will be the hard part. Posted in Motor Controllers Autopsy And AnalysisLeave a Comment on ChipiKart More Steering Redesigns! Chibikart uses two Turnigy SK3 5065 motors, driver sensorless by Jasontrollers. Its cheap and powerful, so I can dig it. But whats better than the grinding, powerful not-launch of a sensorless drive? The smooth, terrifying launch of a sensored one. 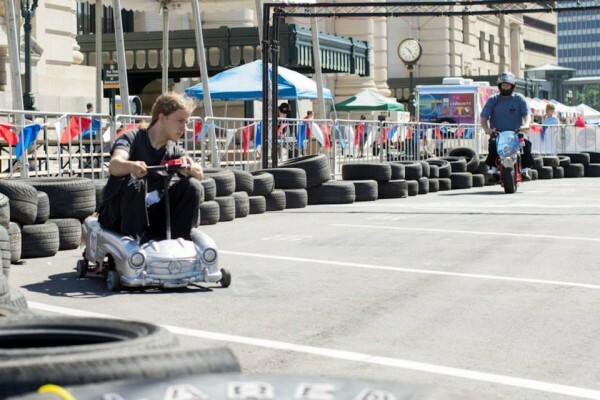 Id been thinking about how to achieve this on a vehicle, especially after seeing TinyKart at NYC Maker Faire. And then I forgot. 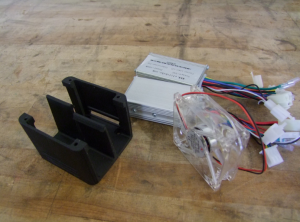 Charles recently posted about adding sensors to sensorless motors and driving them with Jasontrollers. And I realized that it was what I wanted to do, so I emailed him. And being the awesome guy he is (and a fellow lover of tiny brushless things), he emailed back, and I ended up with some sensors to put on a motor. I pulled the motor off TinyBike, popped the sensor ring on it, whipped up a quick mounting plate, and went off in search of a Jasontroller. Fortunately, I had one lying around. Unfortunately, I had cleaned up the wiring and modded the circuit board, meaning all the stuff I needed to hook up the sensors was gone. Dang. So I ordered another Jasontroller. And now I wait. Which leaves me with two options. I can work on the frame and mechanics of ChipiKart, and have it ready to test come Jasontroller time, or I can daydream about designing my own controller. Knowing my project ADD, you can probably guess which one Im going to choose. Hint: It might be this one. Then again, it might not. 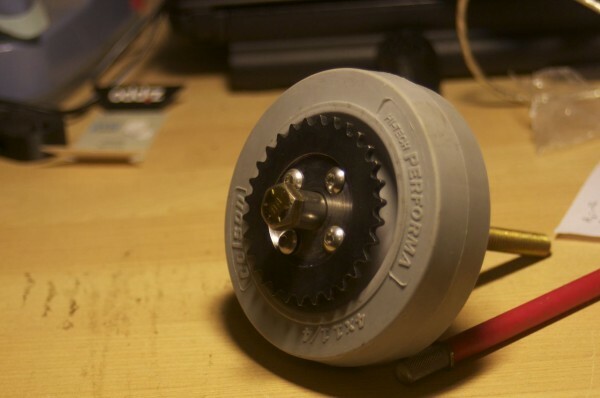 So I finished up one drive wheel. Here it is! 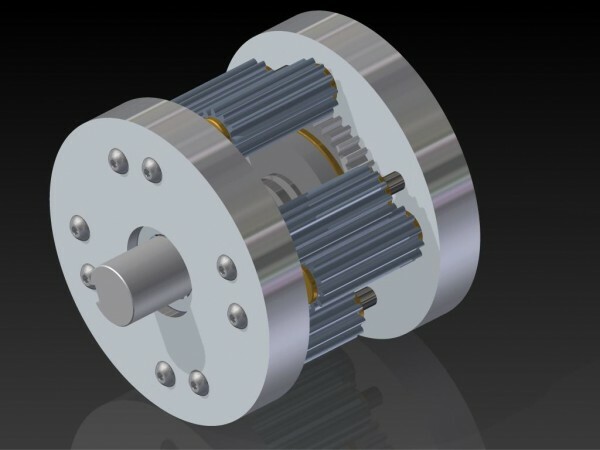 The center bore of the sprocket clears the bearing in the wheel so it can spin separately. It also clears the spacer for the axle. Now I just need to mount the axle to the frame. And then do the whole thing one more time. What The Hell Has Been Going On Here? I mean really, its been four months. Thats not cool. Which means now I get to try to sum up a whole lot of things in as few words as possible. This should be interesting. See? It even ended up looking somewhat presentable with the Mercedes 300SL body on it. I ended up using 120A Kelly controllers on it, as the hacked jasontrollers just werent cutting it. I regret nothing. Proper controllers are a thing of beauty. With it being a racing power wheel and all, I raced it. The crowds really enjoyed that something with really tiny wheels could go so fast. Unfortunately, I started hitting some serious problems. During qualifying at Kansas City Maker Faire, my right motor committed suicide. On hard acceleration out of the first corner, the shaft twisted so hard that it snapped itself off inside the motor. I disconnected it and raced on one-wheel drive, which was disappointing. With both motors, I had qualified third overall against some much larger and more powerful cars. Chipikart had some potential. Unfortunately, realizing that potential was not meant to be. 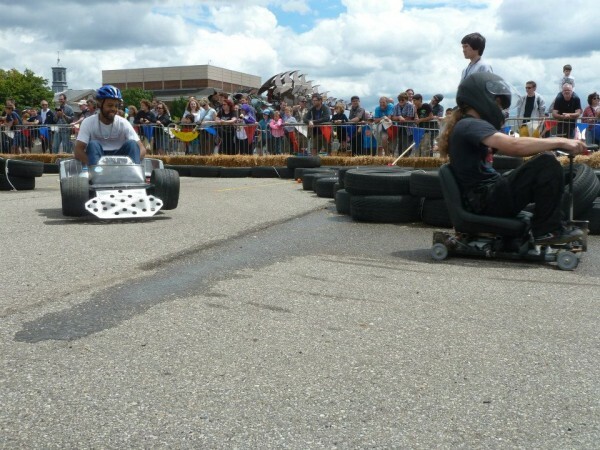 During the races at Detroit Maker Faire, the body was completely destroyed and both of my sensor boards were severely damaged. No good. 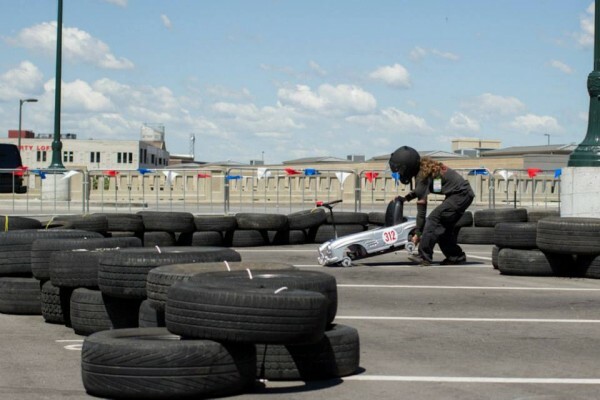 But I brought it out to New York and raced there anyway. And there, Chipikart met its ultimate demise when the rear and was completely run over by a larger car. Both motors were internally shorting, and the sensors were gone. 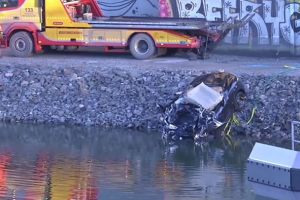 Chipikart was no more. But it was a lot of fun, and a learned a lot along the way, so its not really a loss. I got some fantastic batteries and controllers to re-use in the future. I found out that by putting 3600W to each rear wheel, I can wear down a set of colsons to the hard plastic core in just under 25 minutes. And I think I set a couple power wheels drift records. 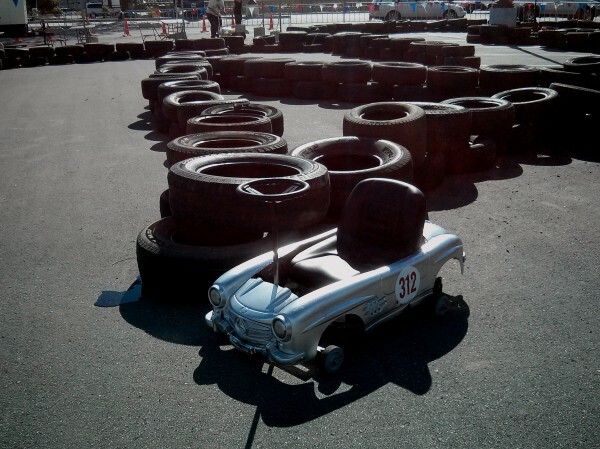 But most of all, I built a chibikart for $435, which is almost exactly 1/3 the cost of the original. And thats pretty cool. Now that Im not racing, Im going to finally finish putting together all the drawings. Probably. 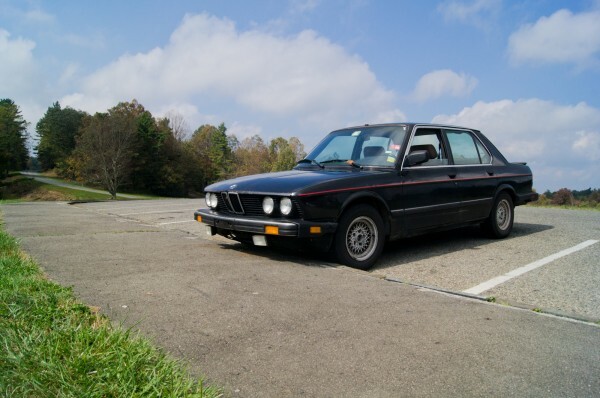 Its a 1987 BMW 535i, and it has quite a colorful past. Im not going to dwell on it too long, since you can read about it here. I document some of the more entertaining repairs here. You should check it out. 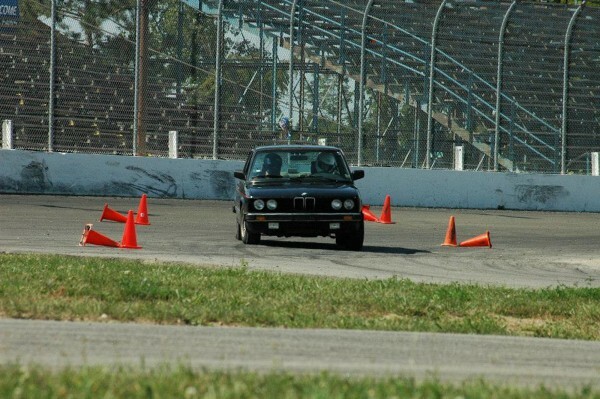 Oh, and I autocross it. Because its loud, slow, entertaining, and also because body roll. Ill leave you with a taste of things to come now that I have time to write about them. 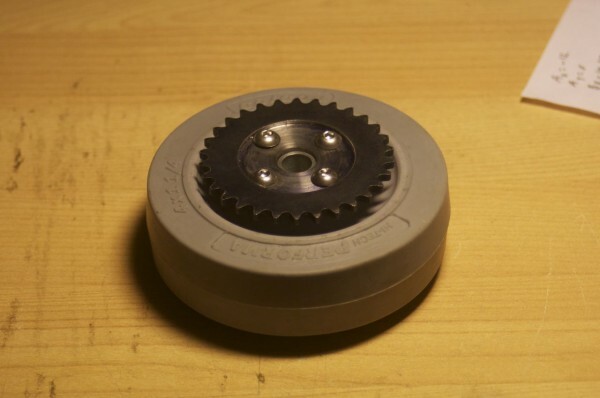 This is a limited-slip differential, sized to fit in a power wheel. Its 3.25 in diameter, 3 wide, and weighs 2.5lb. More on this soon, because Im away from tools for the next few months and so all I have is CAD. This is going to get interesting. Posted in Motor Controllers Autopsy And AnalysisLeave a Comment on What The Hell Has Been Going On Here?